What a race?! I knew from straight after qualifying that Lewis Hamilton would have to lead at least the first stint in order to keep Sebastian Vettel at bay. Well, he did more than that as, with the help of Jenson Button, Sebastian Vettel led just eight laps through the pit stop cycle, as Lewis Hamilton was the man in dominant form, staking his claim for this year’s world championship in the process (if you acknowledge that there still is a championship fight, then Hamilton is well and truly in it). It did have the feel of a weekend that was getting away from Sebastian Vettel from the moment Lewis Hamilton shocked himself by beating the German to pole. Much like in 2010, Vettel had a dominant car and held all the cards but transpired to screw it up in a right royal fashion. After his Friday dominance, it looked like it would be a cake walk, as Ted Kravitz said to Christian Horner before qualifying, “It’s in the bag, isn’t it?” And yet the work of Hamilton and Button made sure that the dominant Red Bulls ended up with egg on their face. Red Bull easily had the fastest race car over the weekend but wasted it stuck in traffic. For all the talk of how dominant the Red Bull is in Hungary, their one win in 2010 (which Mark Webber won, by the way) is a bit of an anomaly as McLaren have won five of the last seven Hungarian Grands Prix and Mercedes have powered six of the last seven winning cars. 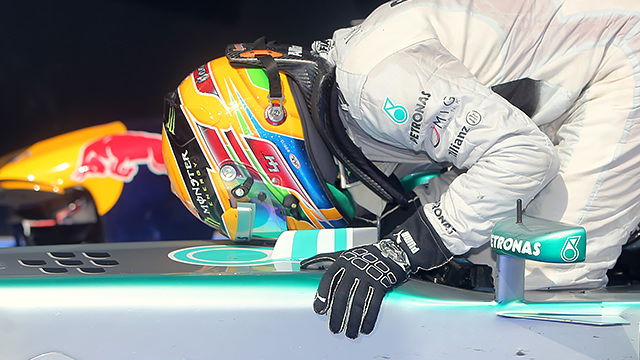 It was clear that the victory meant a lot to the Brit to win his first race for Mercedes. Although he came to the German team expecting to be a part of a rebuilding process, he knew that the longer his win drought went on, the harder it would get to win and the bigger the proverbial monkey on his back. 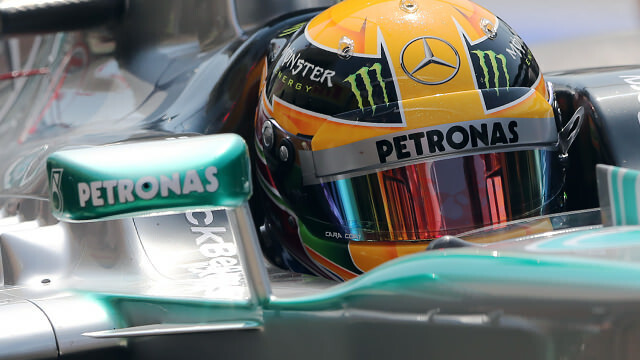 But Lewis Hamilton likes the kart-track nature of the twists and turns of the Hungaroring. And I had a feeling it would be his win, using Monaco logic to predict that if he claimed pole, he may be able to drive a car as wide as Thierry Boutsen’s Williams and grind out a win. But Hamilton was in far more control than that. After claiming a shock third pole in a row, he benefitted from the clean side of the grid to lead easily into turn one. After soaking up a few laps of pressure from Sebastian Vettel, he opened out a gap before his first stop where Mercedes, disastrously slotted him in behind Jenson Button. I joke, it was clear that the options were going away and the track was coming to the primes. If they had left it another lap, Hamilton would have been further back in traffic. I don’t know if Mercedes let Hamilton know the significance of the move on Jenson Button but he set to work immediately and put an emphatic move on his former teammate down into turn one, fending off a retort into turn two. Little did anyone know, the race was won there and then. From there, it was Hamilton at his very, very best. He showed great pace to open a gap to the Button train (he’s quickly gaining a reputation for what his ex-teammate Jarno Trulli used to do) and all his rivals. But Lewis also showed great control as he managed the tyres, ensuring that he didn’t overwork or overheat them, causing the strategy to be ruined. Yes, it’s easier to manage your pace when you haven’t got the world’s best breathing down your neck, but make no mistake, that was a world class drive from Lewis Hamilton. 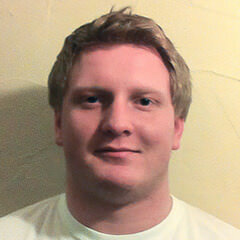 It looked like being an excruciating day for Williams. They looked very much like being the bridesmaids as they were running 11th, twenty five seconds behind Sergio Pérez. 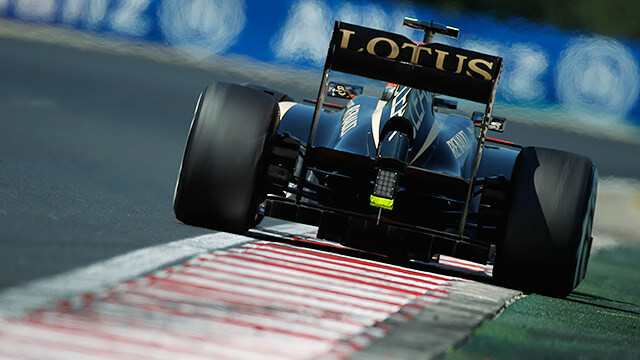 They were best of the rest as the top five teams locked out the points paying positions. I was just hoping for something to go wrong for someone to elevate Williams to their first 2013 point. And exactly that happened as Nico Rosberg’s weekend’s work went up in smoke. They may have had fortune with Nico Hülkenberg’s drive through penalty for pit lane speeding but they were at the front of the midfield on merit and deserved a little luck after their horrific start to 2013. 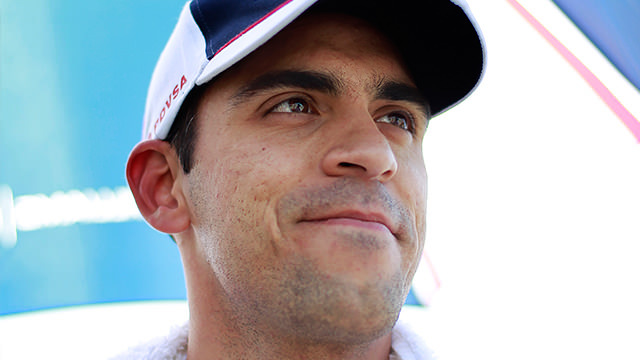 Maldonado was good value for a point and they will now set their sights on Sauber’s resounding points tally of seven. It’s a tall order. 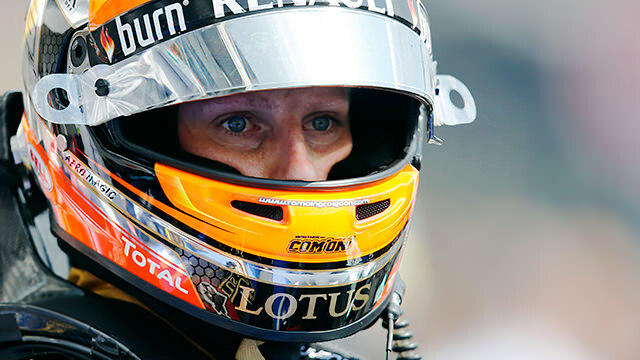 If Romain Grosjean didn’t have bad luck, he’d have no luck at all. OK, he was boneheaded in his overtaking attempt against Jenson Button. Although I have to say that I think he was caught out because when he was alongside the McLaren, he was on the curb and didn’t account for Button trying to get back on the track. But forgetting that error, he had a stunning weekend. He outqualified Kimi Räikkönen to claim third on the grid and was Sebastian Vettel’s biggest problem until he collided with Button. Then, with his race compromised by the incident, he set about working his way back through the field but ended up driving into a metaphorical wall, placed squarely in front of him by the stewards. I get that he was slightly off track on the exit of turn four as he overtook Felipe Massa, but he was there not to gain an advantage, but to avoid an incident. That was clearly Grosjean’s corner and you could argue that if you’re going to give Grosjean a penalty there, you should give a penalty to Felipe Massa for forcing another car off the road. Genuinely, I think Massa warranted a penalty more than Grosjean in that incident. I would also prefer to see rules bent a little to encourage racing like that. There’s no doubt, that was a fantastic overtake, period. Jenson Button is a smart racer. He knows that there’s no point getting involved in a battle with someone he’s not racing that will cost him time. It occasionally makes him look a little submissive on track but he was anything but on Sunday. He was gritty and determined and held off the fastest car on the grid for twelve solid laps, as Sebastian Vettel tried to go around him, through him and most likely under him too. It was a Button that we don’t always see, but it was nice to see him so aggressive on track. Then again, I’m sure the inability to pass Jenson Button and Kimi Räikkönen later in the race will lead to more questions about Sebastian Vettel’s racecraft.